When pharmacists help patients reach cholesterol goals by assessing risks, prescribing drugs, ordering tests, and explaining results, more than three times as many patients reach their cholesterol targets. That’s the encouraging finding of a study published in the September/October 2016 issue of the Canadian Pharmacists Journal. The results showed that patients who received help from pharmacists saw their cholesterol levels drop farther than the levels of patients who were only given test results, a pamphlet, and usual care. A release from the association notes that the study was conducted in Alberta, the only province in Canada that authorizes certified pharmacists to prescribe any needed medications for the patients they see. 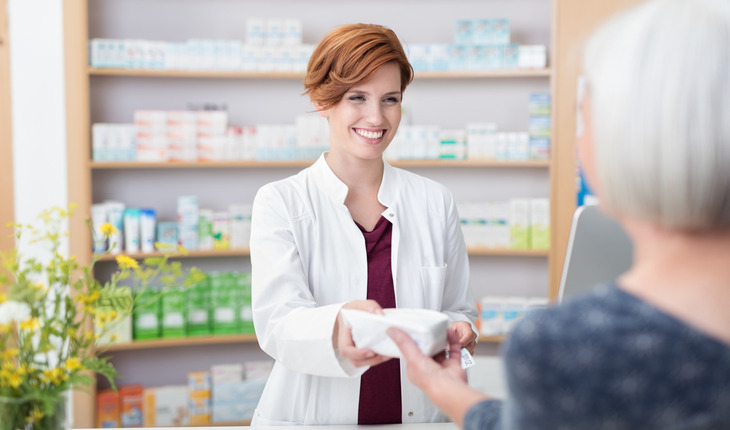 In other provinces, pharmacists can prescribe certain medications in certain circumstances, but in a more limited fashion. The study provides strong evidence that allowing pharmacists to prescribe drugs and order lab tests — among other steps in patient care — can lead to positive health outcomes, said the study authors. Theirs is the first study to look at effects of pharmacist care that includes prescribing on cholesterol levels. In previous studies, pharmacists have referred patients to other health care providers, mainly physicians, for medication. High cholesterol levels are a common problem in Canada. The Canadian Health Measures survey, conducted from 2007 to 2009, found that roughly 36% of all Canadians and 43% of those aged 40 to 59 had unhealthy levels of LDL cholesterol, the unwanted or “bad” type of cholesterol that leads to cardiovascular disease such as heart attacks and strokes. This study, which started in January 2012 and concluded in mid-2014, tackled the problem of high cholesterol using a treatment and monitoring approach, explained authors Dr. Ross Tsuyuki and Dr. Glen Pearson, both pharmacists and professors of medicine at the University of Alberta. The release quotes Pearson as saying, “The first step is identifying people who have high cholesterol. If you can’t identify them, it doesn’t matter what you try to do. This involves pharmacists being systematic and finding cases.” Ninety-nine patients with high- or moderate-risk cholesterol levels were found and randomly assigned to “usual care” (a test for cholesterol, a pamphlet on cardiovascular disease, and whatever steps the pharmacist and physician would normally take) or to assessment, treatment, and monitoring. The lower level of cholesterol achieved in the treatment group would be expected to reduce heart attacks, death due to coronary disease, and the need for bypass surgery or angioplasty by 13%, and to reduce stroke by 11%. Since high cholesterol is one of the major public health problems in Canada, it makes sense to have pharmacists identifying and treating the problem, said Tsuyuki. At a recent conference, Tsuyuki asked an audience of US and Canadian cardiologists (physicians specializing in heart disease), “If you were truly serious about public health and wanted to reduce heart disease, why would you not be supportive of having thousands of helping hands — additional primary care providers — supporting you and patients?” He said many of the cardiologists were supportive of the role of pharmacists in prevention of heart disease.